Telling Our Stories to Benefit Others is my latest blog post for TheONC; the online community for oncology care teams. Registering for TheONC is free for oncology nurses. To draw anything you have to find a connection with it. You have to turn off the noise that keeps you from focusing. You have to let the object stir you to empathy or ennoblement or joy or compassion-even to fear. You must see that things are a part of your world in some special way before you can attend to them. To be a nurse, you have to find a connection with people. You have to turn off the noise that keeps you from focusing. You have to let patient care stir you to empathy or ennoblement or joy or compassion-even to fear. You must see that your patients are a part of your world in some special way before you can attend to them. 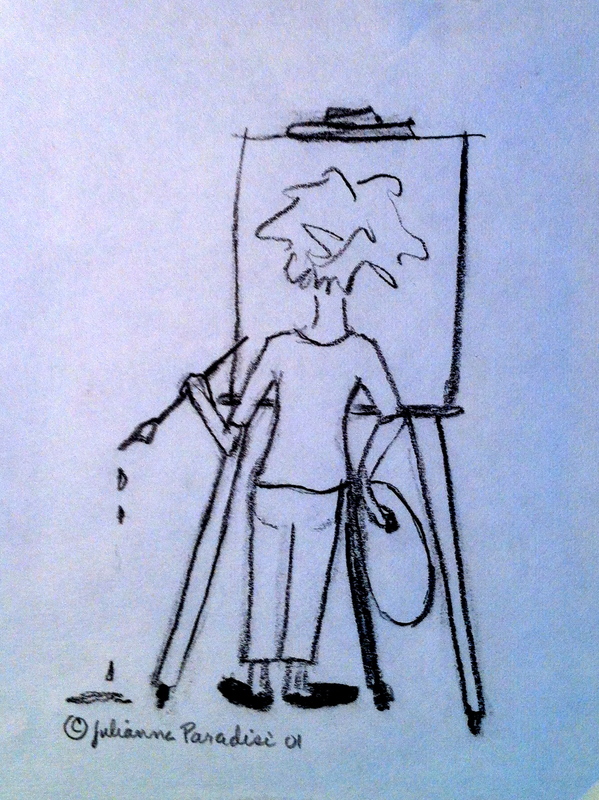 When making art, or practicing the art of nursing, it all boils down to focus and connection. Whichever you are doing today, find that focus and connection. Someone’s life will be better, because you did. This entry was posted in Nursing Lifestyles, Oncology Nursing, Posts About Art & Nursing, You Can Find Me Here Too and tagged art and nursing, Arts, drawing, focus, Goethe, health, oncology rn blog, patient care, Peter Steinhart, TheONC by jparadisirn. Bookmark the permalink. I like this. I’m not an artist with paint, but (hopefully) an artist with words. I believe that being able to write is about paying attention and connecting to your subject. I’m not a nurse, but I help people in another volunteer capacity and I would say ditto to the way to truly help people. It takes a good deal of being quiet to truly know how to help someone.